Superior breathing air filtration in a durable, easy to use format. Provides three-stage filtration and carbon monoxide (CO) monitoring. 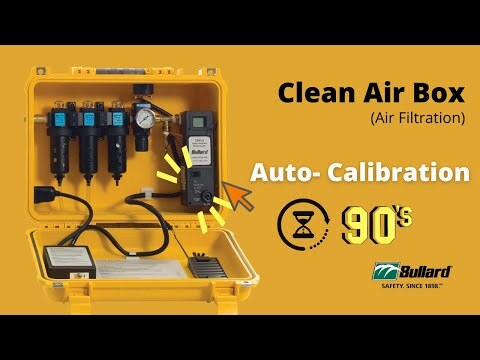 Bullard Clean Air Boxes (CAB) offer superior breathing air filtration in a durable easy to use format. OSHA requires that employers provide their workers wearing airline respirators with Grade D breathing air. 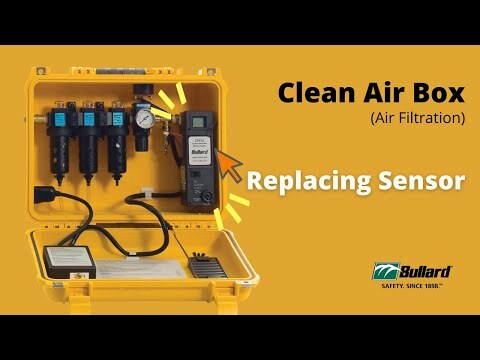 Bullard Clean Air Boxes provide 3-stage filtration and carbon monoxide (CO) monitoring to help meet this requirement. Three stages of filtration remove oil, water, particulate, oil vapor and odors. First Stage - The first filter element removes 95% of solid contaminants and bulk liquids from the breathing air, down to five microns, prolonging the life of the second and third stage elements. Third Stage - This activated charcoal element removes unpleasant oil and hydrocarbon vapors and odors from the air.